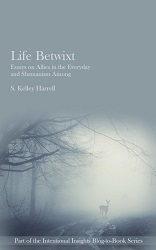 Life Betwixt – Essays on Animism in the Everyday and Shamanism Among is a compilation of essays on contemporary animistic and shamanistic life from the perspective of Kelley Harrell, a modern shaman and lifelong intuitive. In this edition, her stories of a foot in both worlds describe how to work with Spirit Guides and Nature Spirits throughout life, not just when traversing ecstasy. 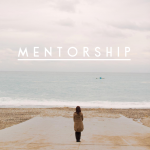 Likewise, on this path, direct relationship with the world around us is imperative, though we often overlook our most accessible spiritual support. From the backyard to the doctor’s office, from the Ancestors to our own bodies, Harrell teaches readers to identify and embody everyday allies for inspired living. Realizing that the Divine is in the mundane and making use of that innate accessibility shifts the enlivened seeker from a path of personal healing to living shamanism among. 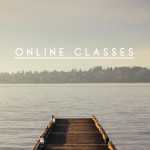 Life Betwixt is part of the Intentional Insights Blog-to-Book series.